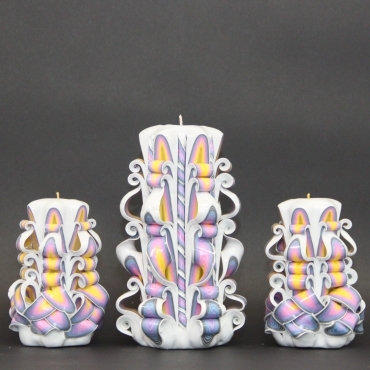 Set of trio White Rainbow. It is one big and two small candles. 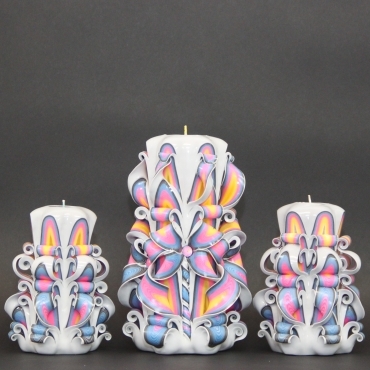 Set of three Brazilia candles. One big and two small. 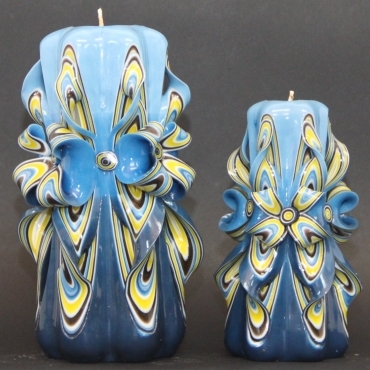 Set of three Blue candles with flowers shape. 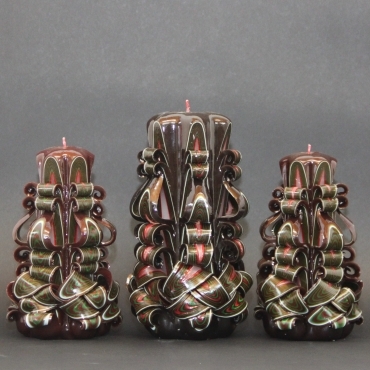 One big, one medium and one small candles. 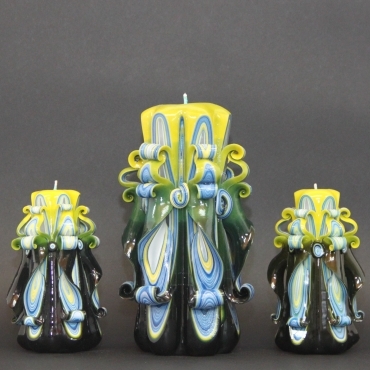 Trio set of Dark candles with Yellow top. 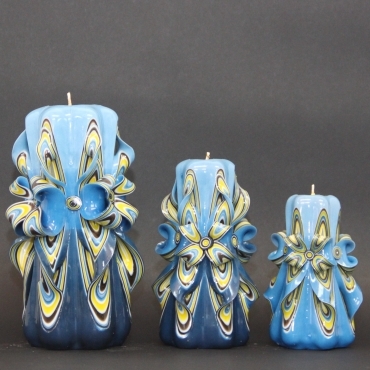 One big candle, the other is medium and third one small. 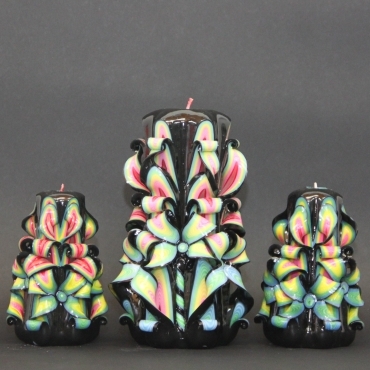 Set of 3 candles White Rainbow with lips. One is big the other two are small candles. 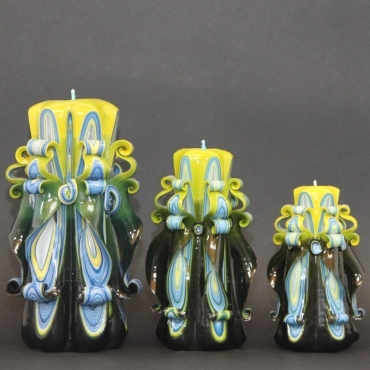 Dark set of 3 candles with Yellow top. One big and other two small candles. 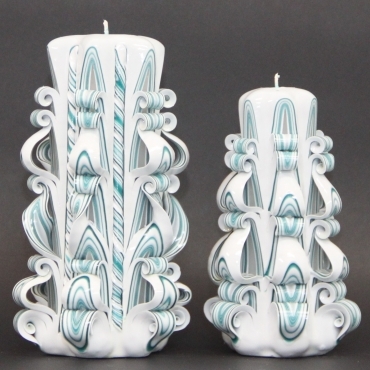 Set of two candles White and Turquoise color. One is big the other medium candle.